Is there anybody out there who remembers the Classified Section of the Sunday Newspaper? The classified section was a fat, once-a-week insert, a full half-inch thick and chock-full of employment ads. I’m sure some of you are ex-paper-delivery folks with nagging rotator cuff issues from hurling those massive Sunday papers onto countless front steps. The classifieds held hundreds of ads, lined up in neat rows. Tiny ads from small local companies looking for secretaries, sales people and mechanics, bigger block ads for Burger King and McDonald’s, and giant ½ page ads for the US Postal Service or department stores like Wanamaker’s during the Holiday Season. The days of circling ads and mailing resumes are long gone. Gone also are the morning and evening editions of newspapers, the mechanical presses that made them and the paperboys who delivered them. The world has moved into a digital space. The days of posting ads and getting hundreds of baby boomer candidates are long gone. We have the tightest employment market in 50 years firmly entrenched and showing no signs of loosening any time soon. Candidates are scarce. Jobs are going unfilled. What amazes me is the fact that most hiring managers are still attempting to attract talent in the same patterns that were old when Johnny Carson interviewed Rodney Allen Rippy. They assemble a stack of required bullet points, add their company address, post in the local paper or some small-time job board and hope for the best. The best, of course, never happens. These ads go totally unnoticed. Why is it so difficult to shake the old habits? Well, quite simply, the digital world is confusing, the choices are infinite, experimentation is costly and even then, results are never guaranteed. Here’s the thing. Candidates stay on the market for a very short amount of time these days. Some markets like Information Technology estimate an average shelf-life of 5 days. Today’s candidates have a quicker expiration date than deli bologna. Making our ads count and ensuring visibility is a matter of life or lost productivity. So, are we now in the business of attracting talent? We better be. And we better understand the paradigm. What is attractive to the current talent market? We all know from my last post that Millennials are interested in moving forward in their careers, adding impressive bullet points to their resumes and working for companies with excellent reputations. Your advertisements for job openings are now required to be marketing tools. Be clear, meaningful and accurate. Don’t use jargon or nifty buzzwords. They’re annoying. Relay key information about your company. Why is the job open? What is the structure? Be task-specific and results-oriented. Describe the job, not the perfect applicant. Focus on the “Why.” Why should this applicant take the time to respond to this post? Why do they need to consider this position as the next major step in their career? Why would they be a great fit for this culture? If they can visualize themselves in this position, they will apply. Be sure to give them every bit of information they need to create that image. And remember; the company who processes candidates with expediency and professionalism wins. This is an enormous concept and I can’t over-stress its importance. Say it slow. The company who processes candidates with expediency and professionalism wins. The worst scenario for a hiring manager is to execute the posting flawlessly then fumble the candidate process. Candidates will be juggling multiple offers, rest assured. They will be interviewing, they will be judging. Fast, courteous, informative, exuberant and efficient interaction, scheduling and on-boarding are critical. Look at your process. Is it killing you? Fix it. Don’t know how? Contact me. I respond well to smoked pork products and Canadian Whiskey. Finally, cast a critical eye on your web presence. This is the primary informational tool utilized by candidates. 77% of applicants go there first when they become aware of an opening. Your company web site should tell your story, your industry successes, your growth and stability, your excellent culture, your awesome product and huge market share. Most importantly, it should prompt candidates to apply, to rub shoulders with the industry elite, to join a successful team of professionals and forge an epic career. I will ask you to consider 3 things carefully as you proceed. Your ads need to sell. Your process needs to be efficient and professional. Your web presence needs to inform and attract. Get these aspects correct and you’ll be ahead of the game my friends. Patrick McLaughlin is an enigmatic and elusive Talent Acquisition Professional. Cryptozoologists have unsuccessfully attempted to capture him managing MEA’s Recruiting Services from his bower somewhere in the North Woods, where he has coached recruiting teams to new levels of productivity utilizing innovative best practices and bullet-proof fundamentals. 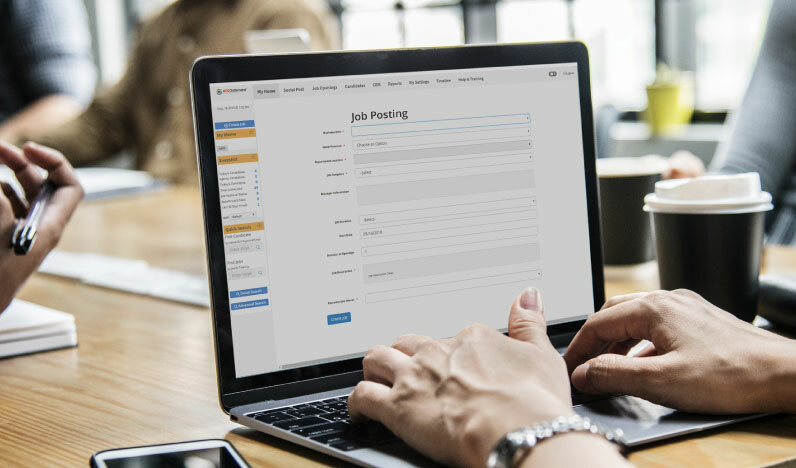 Most recently Patrick has developed a core selection of Recruiting Products designed to alleviate MEA Members’ growing pains when it comes to Job Posting & Advertisement, Sourcing, Recruitment and Staffing.